TackleDirect (TDPL75BL) 7.5in Custom Offshore Pliers feature machine cut Aluminum handles for reduced weight. The tungsten carbide cutters are built specifically for braided line. The jaws are made of a coated carbon steel for strength and durability. 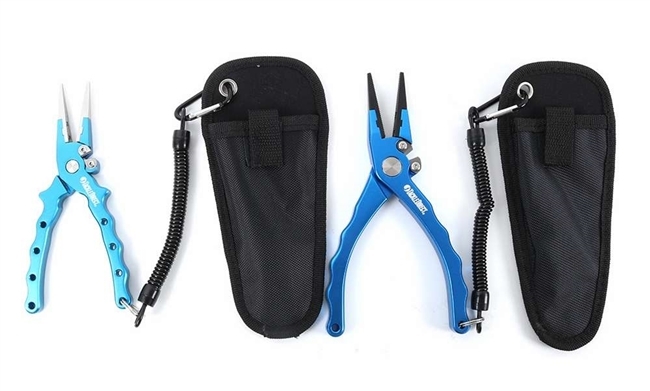 The TackleDirect Pliers come with a cordura pouch and a heavy duty nylon lanyard, making it the ultimate value for the serious Saltwater Angler. These pliers also feature the TackleDirect Logo engraved in white.